With fearless approach and razor sharp delivery, Adore Life is so bruisingly intimate that it feels like a surgical hand taking grasp of your gut. When Savages speak, you listen. By the end of the record, Savages have left little doubt that love is indeed the answer, and that they are unquestionably the best rock band in the world at the moment. Defiant, solid, aggressive and powerful are all words which you could level at Adore Life. 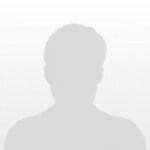 It’s also an album of supreme confidence, one which has no issue with simply stating its case, of which it is certain. Adore Life is many things, but the thing it feels most like is a celebration. On one level, it’s a celebration of the fact that guitar-driven rock music is probably here to stay. But it’s also a celebration of life at its strangest, messiest, and most vital. On Silence Yourself, they were shouting a rallying cry from the rooftops; on Adore Life, they’re shouting a foot away from your face. What seemed like a bracing one-off explosion now feels like something else: a group in it for the long haul, whose best work might well be ahead of them. Savages have always been able to lay claim as one of the U.K.'s most exhilarating live acts-now they've become one of its best bands. Creative, complex and wholly captivating, this is the album Savages were born to make. Almost inevitably, Adore Life overcompensates, but in a good way. This is Savages’ love album: every song concerns the mental turmoil or the physical push and shove of l’amour fou. In many ways, Adore Life feels more alive than Silence Yourself—in part because it feels more human, in part because it's telling you to be as loud as possible. By basing any adjustments on empirical evidence, the band have imbued this second album with a sense of vindication that ‘Silence Yourself’ lacked. At times, the musical chaos they paint teeters on the hair-thin borderline of being impenetrable, but Savages - as always - get away with it. Adore Life is a definite progression for Savages that manages to maintain the feral bark that made Silence Yourself so special. With this album, they've proven that they're a band with substance, staying power and the ability to question everything — and that's worth a lot. Hard-fought optimism fuels the political fury behind Savages’ buzzing aggression (timely given the momentum behind progressive political movements), but now the manifesto is delivered via more familiar, accessible sounds. It takes real bravery to write an album so honest and exposed, and it takes something more than bravery to do so in way that sounds like you’d batter everyone in the room if they took the piss. A striking second album, the different perspectives Adore Life bring to Savages' music make them sound more vital than ever. There are tiny blips in momentum, but for the most part Adore Life is a pummelling statement. It succeeds in shucking off superficial comparison points, reaching for something deeper and more profound. 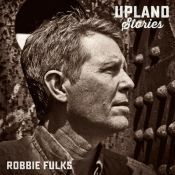 For the most part, this is an album of love songs: not in the trite, wishy-washy sense of the word but as an elemental and all-consuming force. Adore Life builds on that sound, and frames it in a contemporary context that is less throwback than thrilling. Adore Life is a step up in maturity and songcraft, yet still delivers plenty of jagged ferocity. There aren’t any highs on par with the best moments of Silence Yourself, but it is nonetheless consistently strong, and may be more of a grower. 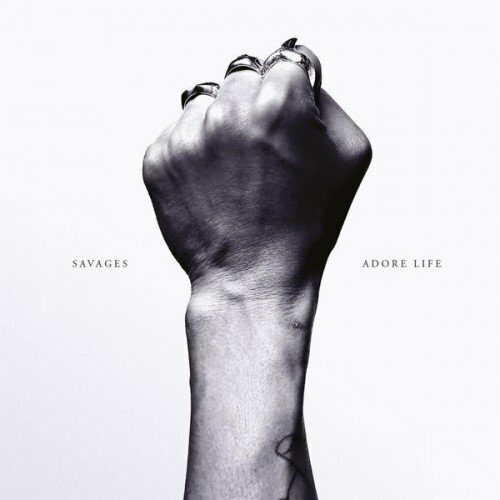 While Savages have upped their game in terms of song craft in Adore Life, starting with the impeccable instrumentation, it doesn’t always favor the task at hand. Their music is driven by emotions that are almost unprecedented in the genre that gave us Joy Division and Public Image Limited. Their ­second album sharpens their ­instrumental attack, while singer Jehnny Beth exposes her bloody heart -- nearly every song addresses desire as a force that can destroy a lover's identity. ‘Adore Life’ sacrifices intensity for heart and with some exploration into the use of space and silence, it could be their perfect album. Too often ... the album sags under its own weight. With repetition showing up often on Adore Life, sometimes working to its intended end result, but mostly landing as formulaic and uninspired. Try as I might, this album just didn't do much to hold my attention over the long haul. Purchasing Adore Life from Amazon helps support Album of the Year. Or consider a donation?